Russian President Vladimir Putin sent his well-wishes to Russian Jews ahead of Rosh Hashanah. “For followers of Judaism this holiday stands for moral purification and perfection. On these days, people sum up the outgoing year and make plans for the future. "I note with satisfaction that Jewish religious organizations are actively engaged in the country’s life, conduct effective charity activities, have implemented much needed educational projects, acquaint young people with their rich historical and spiritual heritage, the original culture and traditions of their ancestors. 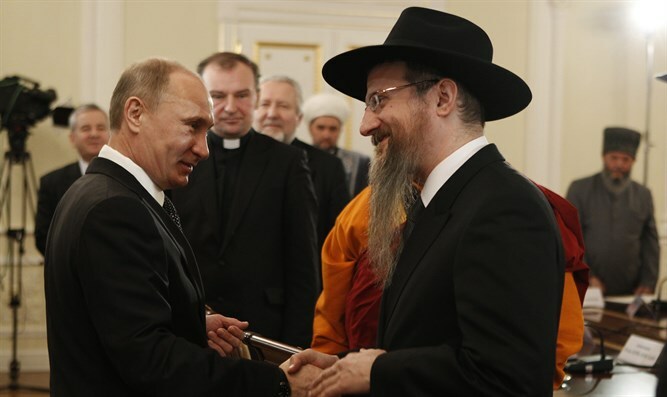 "The contribution of the Jewish communities toward enhancing inter-ethnic and inter-religious dialogue and consolidating centuries-old friendship of Russia’s peoples is definitely important," Putin said.